If the star-crossed characters on Latin American telenovelas can be relied on for one thing, it’s to make ill-advised life choices. They get entangled in troublesome love affairs. They betray their siblings. They chase dreams that fly in the face of reason. Hilarity and heartbreak ensue. 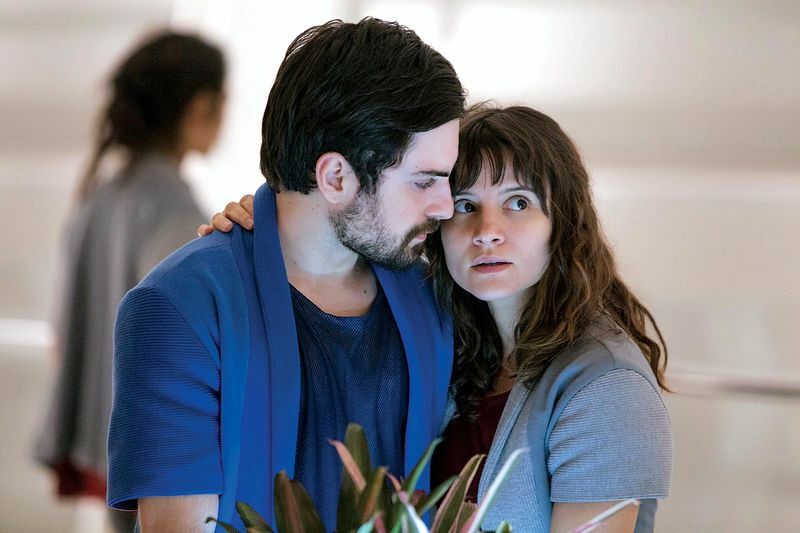 Not long ago, Bianca Comparato, an acclaimed actor on some of the most popular telenovelas in Brazil, began pursuing a risky move of her own—one that might give pause to even her most incautious characters. She started to look for roles outside the protective and lucrative embrace of Grupo Globo, one of Latin America’s biggest TV companies. Its holdings include Rede Globo, the largest broadcast TV network in South America, and Globosat, the largest group of pay-TV networks in Brazil. For decades, Globo has had a near monopoly in Brazilian living rooms. Its channels control the broadcasting rights to many of the nation’s most popular sporting events, including the World Cup, the Olympics, and the top Brazilian soccer league. Every night about 42 million people watch Globo’s newscast. The network’s studio system, reminiscent of Hollywood in the 1940s, cranks out a rich parade of telenovelas—or novelas as they’re called in Brazil—starring a rotating stable of actors made famous by Globo who, in turn, perpetuate Globo’s lock on fame. For a Brazilian actor of consequence, leaving Globo is, or was, unfathomable. Comparato, who’s 31 and bears a resemblance to the British actor Emma Watson, grew up in a prominent Rio de Janeiro TV family. Her father, Luís Felipe Loureiro Comparato, is a celebrated TV auteur. Known in the industry simply as “Doc,” he wrote numerous popular series for Globo during the 1980s and ’90s. Bianca took to acting at an early age. When she was 18, Globo cast her in her first hit telenovela, Senhora do Destino (Lady of Destiny). During any nightly episode, half of Brazil’s TV audience tuned in to watch. As she moved from one role to another, Comparato became restless. She grew to crave the complex, enigmatic parts she saw emerging from U.S. television—antiheroes like Walter White of AMC’s Breaking Bad or Carrie Mathison from Showtime’s Homeland. Such opportunities were in short supply at the telenovela factory. And so Doc’s daughter walked away from a promising career at Globo and eventually cast her lot with Netflix. For the past several years, Netflix has been pouring money into Brazil. Local audiences at first met the company with skepticism, bafflement, or indifference. Over time, Netflix started to gain a following, particularly among affluent, young urbanites such as Comparato and her friends, who enjoyed the breadth and diversity of the programming delivered, for a monthly fee, to their smartphones, laptops, and tablets. Netflix executives told Comparato they were planning their first original series to be produced in Brazil: a science fiction drama called 3%. 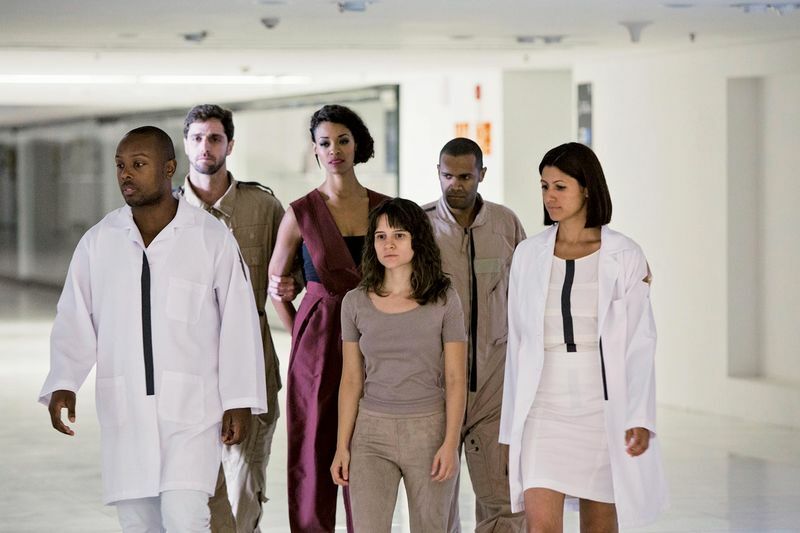 The show, which would be shot in São Paulo, is about a dystopian near future in which every 20-year-old must square off in an elaborate, cutthroat competition called the Process. Most contestants fail and are relegated to a life of crime and corruption. A lucky few, the 3 percent, get to leave the city and spend the rest of their lives in the Offshore, a paradise for the ruling elite. Comparato loved the idea and was cast as the protagonist—a wily, strong-willed contestant named Michele Santana. For Netflix, this Brazilian invasion is just the start. The company wants the attention of the world’s well-off cosmopolitan consumers, and is investing billions of dollars in a multifront effort to create a lingua franca of original programming, while also upgrading the world’s video streaming structure. It’s like a worldwide Marshall Plan for premium home entertainment. The answer may reside in Brazil. It’s here, in the shadows of Globo, that Netflix has been creating, revising, and perfecting the first draft of its international playbook. In September 2011, Netflix made its first attempt at expansion outside the U.S. and Canada, simultaneously launching its streaming service in 43 Latin American and Caribbean countries. At the outset, the southern advance didn’t go well. Brazil, in particular, looked like a quagmire. Few people were signing up, and those who did were hardly watching. A few weeks later, with concerns mounting back at the home office in Los Gatos, Calif., Netflix sent a reconnaissance team to Brazil led by an executive named Todd Yellin. In addition to his job at Netflix, Yellin was a seasoned documentary filmmaker. Among other accomplishments, in the 1990s he became the first moviemaker to film Tibetan refugees crossing the Himalayas. He was accustomed to asking strangers difficult questions in adverse conditions in far-off lands. Yellin quickly discovered that Brazil’s internet infrastructure was alarmingly rudimentary. While Netflix’s North American subscribers were increasingly using Wi-Fi or cellular signals to watch TV series and movies at home and on their mobile devices, internet access in even the biggest Brazilian cities could be spotty or nonexistent. Cell signals weren’t much better. Yellin realized that until the infrastructure improved, few people would bother paying for Netflix, no matter how seductive its programming. So the team in Brazil got to work installing web servers around the country. Along the way, they teamed up with telecommunications giants such as Telefónica, which were in the process of introducing high-speed broadband nationwide. Netflix supplied the companies with additional servers at no charge. Bianca Comparato and the cast of 3%. As a functional broadband network took shape, the company ran into other challenges. During a tour of homes in São Paulo, Yellin observed people watching pirated movies using laptops, teetering on coffee tables, that were connected to TVs. Better hardware, he believed, would lead to less piracy. Netflix began approaching Asian consumer electronics manufacturers, telling them there was a great opportunity to sell more smart TVs in Brazil—which in turn would make it easier for viewers to stream legal programming from the internet. Sure enough, according to Yellin, the longer Netflix has operated in Brazil, the more piracy rates have dropped. This fall, shortly after the debut of 3%, Comparato sent a thank-you note to Erik Barmack, the Netflix executive responsible for bringing the show to life. Barmack, 43, is a former novelist who joined Netflix in 2011 after a stint doing business development for ESPN. In the years that followed, he played a crucial role aiding Netflix’s global expansion by developing programming strategies for new markets and working to license content from local media companies. Within the first year of the Brazilian launch, Netflix doubled the size of its local catalog, serving up a mix of fizzy American fare such as The Hunger Games and family programming, as well as stand-up performances by local comedians. The popularity of Breaking Bad, which Netflix licensed from AMC, persuaded the company to acquire the exclusive rights to the spinoff, Better Call Saul. All this helped lay the foundation for Netflix’s eventual spike in popularity. The company first got into original series in a big way in 2013 with House of Cards, a remake of a 1990 BBC miniseries by the same name. The U.S. show starred several A-list American actors, including Kevin Spacey, Robin Wright, and Kate Mara, but even so, Netflix’s move into original programming was considered something of a gamble. It was known for devising innovative ways of licensing and distributing content made by others, not for creating it. All media companies produce flops—even God-awful Ishtar-level debacles—with frightening regularity. The possibility that a novice would do a bloody face plant coming out of the gate seemed like a good possibility. House of Cards was a hit with subscribers and remains so as it prepares to enter its fifth season. Netflix’s original-programming strategy has been broadly successful, and the company has developed a reputation as a cagey judge of creative potential. It’s diversified into multiple genres, testing half-hour comedies, original kids’ shows, feature-length movies, and documentaries, helping to attract more than 86 million global subscribers and winning a wheelbarrow full of Emmy awards. In late August 2015, Netflix released the first 10 episodes of an original series called Narcos, an hourlong scripted drama about the Colombia drug kingpin Pablo Escobar and the U.S. Drug Enforcement Administration agents trying to bring him down. The cocaine-doused caper, which is produced by a French company in a mix of Spanish and English, soon managed a feat that’s long bedeviled Hollywood studios: It drew audiences from multiple countries, who spoke different languages, at the same time. American viewers embraced it. So, too, did subscribers throughout Latin America. On corporate earnings calls, company executives began boasting about Narcos’ cross-border appeal. 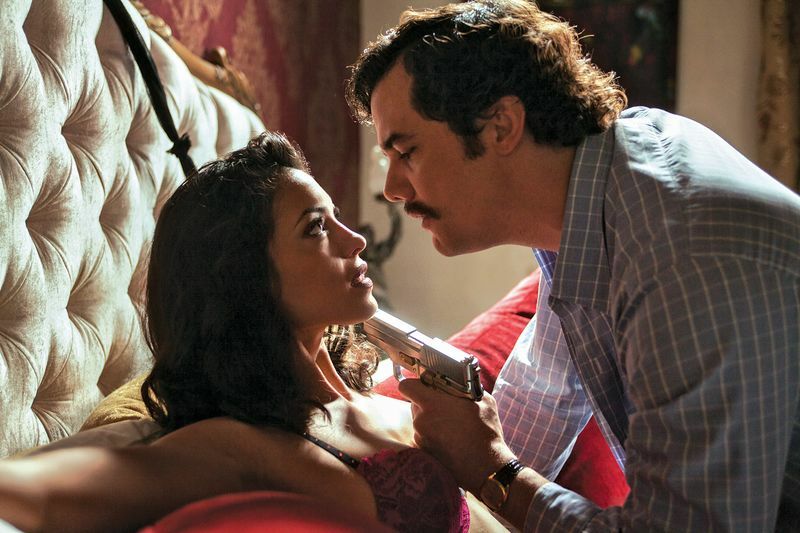 Wagner Moura as Pablo Escobar in Narcos. “We are playing to the local pride,” Yellin says. Last year, Netflix produced more than 600 hours of original TV at a cost of more than $500 million. That’s 126 original series or films, most of which are shown worldwide. The vast majority have been produced in the U.S., but that’s changing, thanks in part to Barmack, who leads the Netflix division responsible for filming original shows in international markets. Barmack is open to discoveries from anywhere and isn’t shy about exploiting openings left by traditional players. A few years ago, Pedro Aguilera, a young film student in São Paulo, inspired by his own anxieties about breaking into Brazil’s entertainment industry, came up with an idea for a dark sci-fi series. He entered it in a state-sponsored film competition and won the first round, which earned him enough money to shoot the pilot episode. He called the show 3%. No buyer in Brazil, including Globo, picked up the series. Eventually, Aguilera and his partners e-mailed the video to journalists around the world. Wired ran a brief story and posted the video. That’s where Barmack discovered it for Netflix. Five years after the company’s inauspicious arrival, Brazil has become Netflix’s largest market outside the English-speaking world. Analysts estimate it has 4 million to 5 million subscribers in the country, trailing only the U.S. and U.K. And according to the company, it’s already profitable in Brazil. Aguilera says he and his friends are more likely to talk about American TV shows like HBO’s The Wire than about the latest telenovela. “A lot of younger people are more interested in watching what they want when they want it,” he says. “I only watch Globo for the Olympics.” Outside Brazil’s major cities, Netflix has yet to gain much of a following, but Lopes, the marketing chief, says it’s well-positioned to keep growing. He’ll consider it mainstream when “everyone in Brazil has a favorite Netflix show,” he says. Netflix has also released series filmed in France and Mexico. Club de Cuervos, which was shot in Mexico, has already yielded a second season. Barmack recently commissioned about two dozen original programs from top producers and filmmakers in their respective countries, including an Italian crime show, a Korean drama, and a Spanish romance. “The more local storytelling gets, the more it will resonate with a local audience,” he says. Last year Netflix announced it was expanding to more than 100 additional countries, from Azerbaijan and Poland to Nigeria. Not surprisingly, these forays have been bogged down by many of the same problems that initially hindered Netflix in Brazil: shoddy infrastructure, high rates of piracy, strong local players, and cheaper alternatives. In January, Indonesia’s largest telecommunications operator banned Netflix because it refused to censor programming. Netflix has yet to crack China, which strictly regulates foreign media companies. And early reports out of Africa and Asia suggest the company has a long way to go there, too. Even so, its recent progress in the land of Big Telenovela appears to be a good omen for its chances in other rugged environs. “If you can get it right in Brazil, you can get it right in India,” says Vivek Couto, owner of Media Partners Asia, a leading media consulting firm. Netflix’s conspicuous success in Brazil appears to have its rivals worried. Some local media companies, including Globo, are declining to license any of their programming to the company for the Brazilian market, apparently hoping to starve Netflix of content and attention. And several of Brazil’s big telecommunications and media companies have introduced video services of their own, while lobbying the government to impose stricter regulations on Netflix. Globo is wooing young customers with something called Globo Play, which offers most of the network’s programming on demand at a lower price than Netflix. “We are absolutely sure that we have, among our authors, directors, producers, and actors, the talents that master the art of playing and telling high-quality stories to the Brazilian audience,” a Globo spokeswoman said via e-mail. In the meantime, Netflix continues to test new ways of strengthening its bonds to Brazil’s creative community. For the past two years the company has hosted an annual film competition in Rio that brings together many of the country’s writers, producers, and actors. Adding to the allure: Netflix keeps opening its wallet. Recently it announced it was commissioning a second Brazilian original. José Padilha, who directed several episodes of Narcos, will produce a true-crime series focused on the story of Operation Car Wash, the convoluted bid-rigging scandal that for the past several years has engulfed the nation’s state-controlled oil company. In December a handful of Netflix employees join a couple hundred people inside a newly renovated convention center in São Paulo for the Comic Con Experience, a festival celebrating comic books, TV shows, and movies. The event is a direct descendant of Comic-Con International, which originated in 1970 as a small gathering of devotees at a San Diego hotel. In recent years, engorged on the growing popularity of pulp culture, the festival has spun off international editions in cities from Karachi to Montreal to Moscow. This is its third year in Brazil. Inside the sweaty auditorium, people in superhero costumes hunt for autographs, freebies, and memorabilia while scarfing down mouthfuls of pão de queijo. A red Netflix sign hangs high above the giddy crowd. Since last year’s convention, the company has quadrupled its floor presence. At one booth celebrating its original U.S.-produced series, fans sing karaoke to the theme song from the prison dramedy Orange Is the New Black. At a booth devoted to 3%, dozens of kids line up to reenact their favorite scenes, while nearby, in the main hall, several hundred fans gather for a panel featuring the series’ actors. The session begins with a video montage featuring scenes from different Netflix programs and culminating with stirring vignettes from 3%. Comparato and several of her cast mates take the stage. The room goes bananas. The actors exchange banter, testifying about the pleasures of working for Netflix and asking everyone in the crowd to ask the company to commission more episodes. As the panel winds down, Vinicius Losacco, a Netflix marketing executive, joins the talent on stage, where he delivers a surprise announcement. His company, he says, has just renewed 3% for a second season. Looking out over the legions of Brazilian TV fans whooping like maniacs for Netflix, Comparato smiles. Big risk followed by a big reward—an ending worthy of a telenovela.